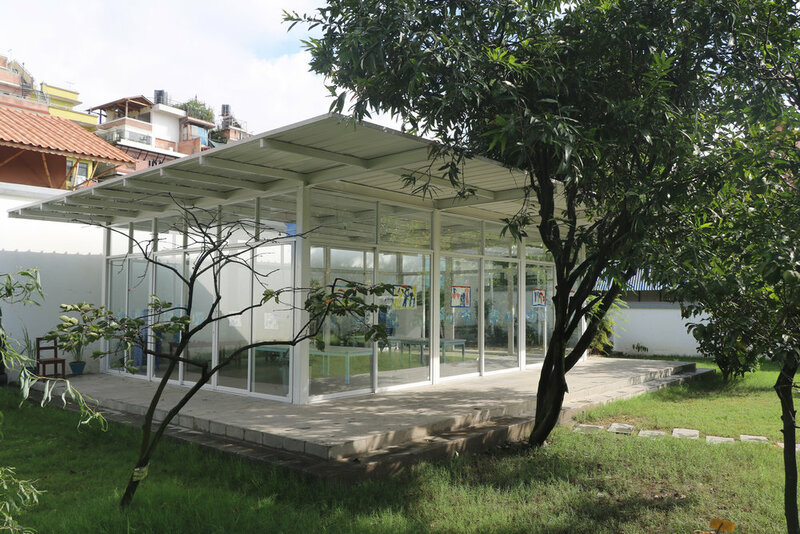 A garden pavilion serves as an extension to a preschool in Kathmandu. Art classes, dining, and other semi-outdoor activities take place in a flexible semi-outdoor environment. The free standing structure in glass and steel stands in contrast to the prevailing masonry of its immediate urban context. Deep roof cantilevers surround the structure allowing for continuous shade and rain coverage during the monsoon. A narrow gap between the structure and the boundary wall accommodates a rain garden fed by the water from the roof canopy. The garden, in turn, combined with the openness of the sliding facade system accommodates generous cross-ventilation through the structure. 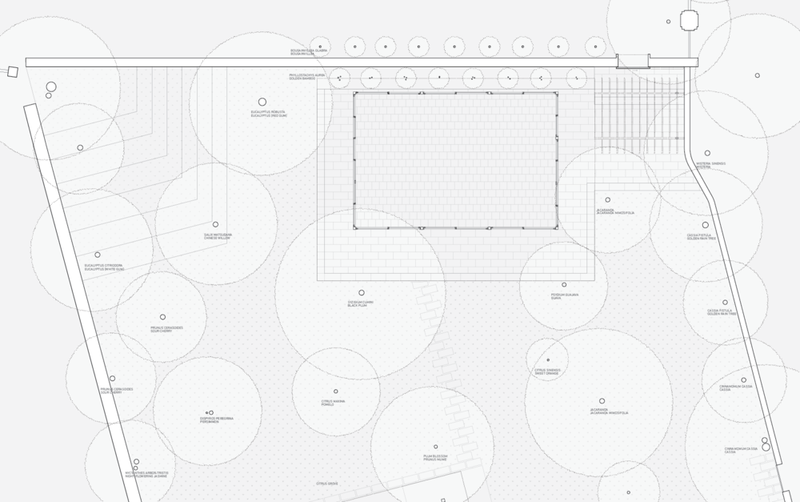 Landscape design in collaboration with Milap Dixit.